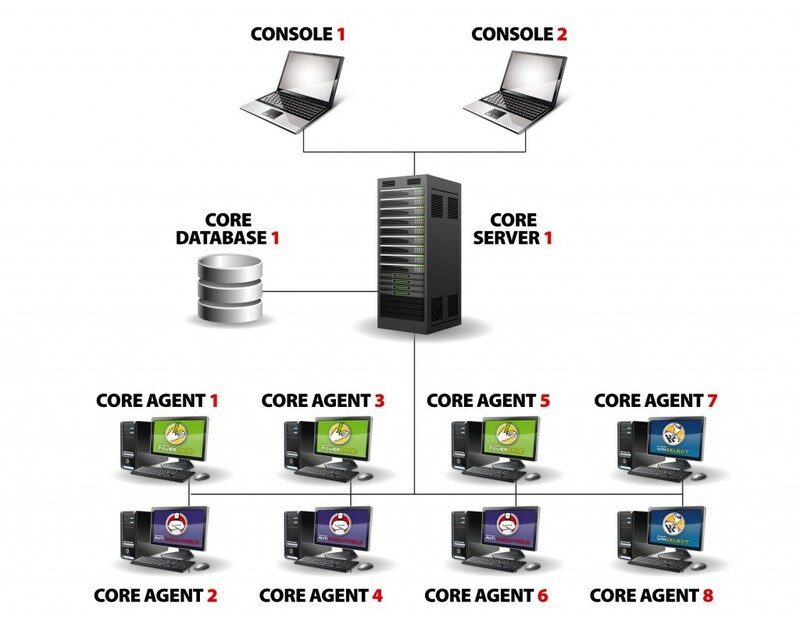 Faronics Core is a multi-tool for IT professionals. It’s a simple remote management tool that makes it easy to centrally manage your endpoints. Equipped with enterprise-level deployment and management capabilities that can be customized for your organization, Faronics Core offers to save you time and money. And it’s hard to believe, but Faronics Core comes standard with all Faronics solutions – yes, that means free. With a large number of workstations to administer, IT professionals appreciate the simplicity of managing multiple solutions in a single pane of glass using Faronics Core. All workstation information such as name, online status, operating system, and more is easily visible from the Core Console. For even easier management you can create custom workgroups to organize workstations in a way that makes sense to you. Faronics Core can host multiple product loadins at the same time to help you realize the value from your Faronics software investments faster. Reclaim your time and let Faronics Core do all the heavy lifting. 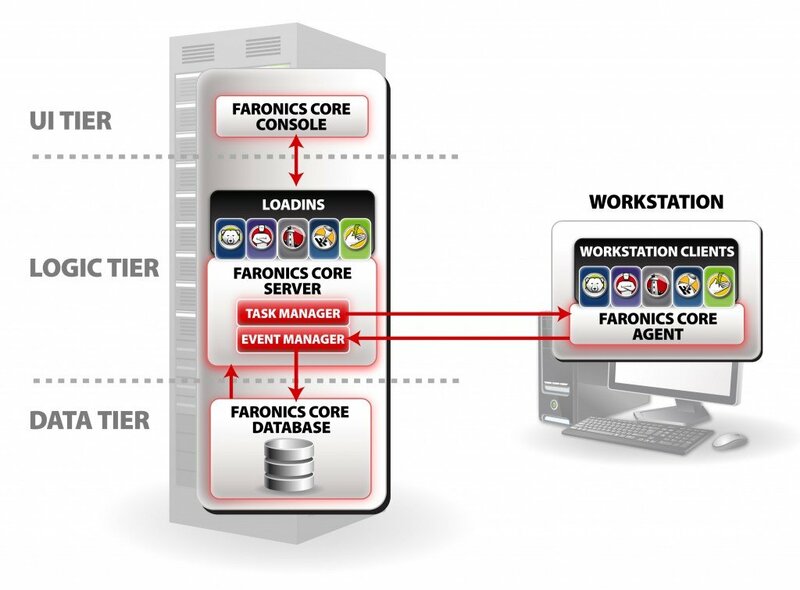 Using Faronics Core you can perform software deployments with a few clicks of a mouse. Or you can or schedule them so they occur automatically after hours. Simply set it and forget it. You can also create customized policies to configure your Faronics products exactly how you want them. Your policies will be re-usable and will simplify the rapid configuration of new workstations. Faronics Core makes it easy to install and configure Faronics software but you aren’t limited to only that. You can also install third party products, update Windows and execute your own custom configuration scripts. Faronics Core makes software even easier since you don’t have to leave the comfort of your own desk. And it’s really smart too. The Active Task feature ensures that all configuration changes are applied to a laptop, even if it’s not plugged into the network. Tasks will wait until the target workstation becomes available. Faronics Core offers invaluable insight and intelligence with its built-in reporting abilities. You can run detailed reports on a workstation, group of workstations or even globally across multiple Faronics Core Servers. Faronics reports are exportable and can be easily published to the web or modified in spreadsheets. And each Faronics product has a full range of canned reports designed to give you the big picture of your workstations. 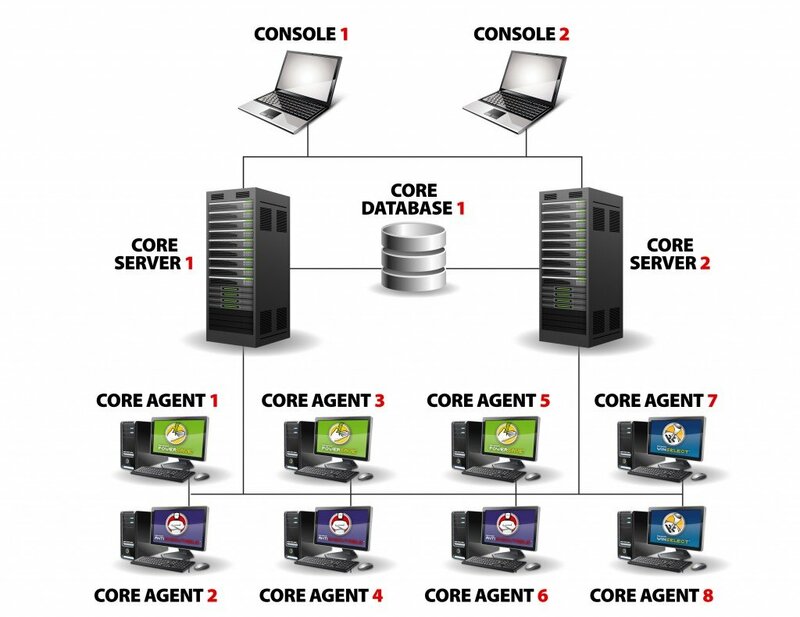 Faronics Core consists of four components – Core Console, Core Server, Core Database and Core Agent. 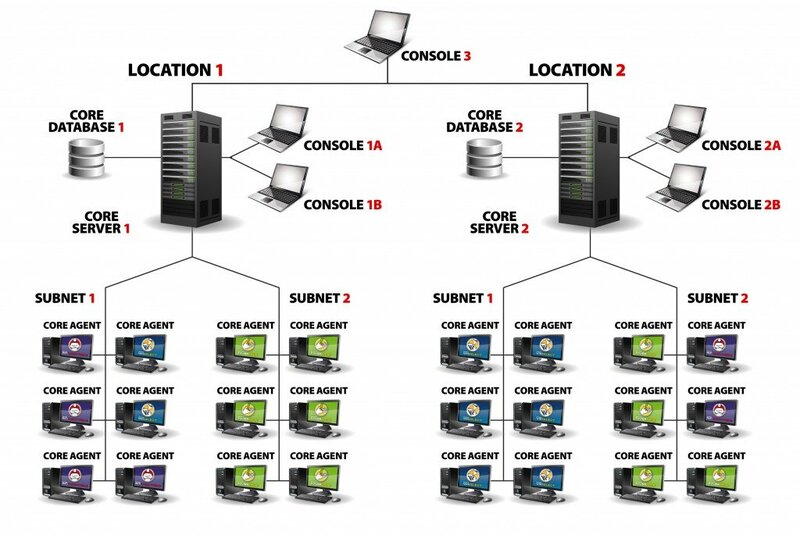 This tiered architecture allows for more flexible management and a more scalable system. “Faronics Anti-Executable is a bulletproof solution when trying to prevent rogue software installs, malicious code, and other unsavory happenings. Unwanted programs are prevented at the start by simply preventing them from even running.